How the hearse was used to save lives. 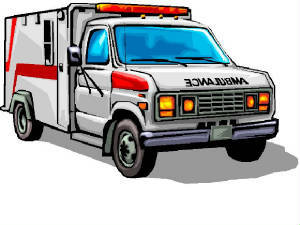 The ambulance in America started out as a horse-drawn wagon. It was typically owned by a hospital, and came staffed with a driver and a surgeon. The use of these ambulances continued into World War I,but changes were coming.The age of the automobile had arrived, and the ambulance was no exception. Many WWI ambulances were motorized. As you can see from the picture, other than the addition of the motor, the design had not changed much. After the war, the motorized ambulance was introduced to the civilian population. Some big cities still had hospital- based ambulances, but this option was not available to most small towns. What to do ? Who has a vehicle that can transport someone lying down and is available 24/7? This sounds like a job for the local undertaker. 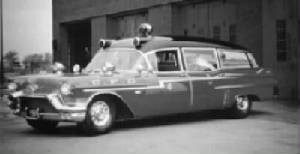 With the addition of a light and siren, and limited first aid equipment, the hearse became transformed into an ambulance.